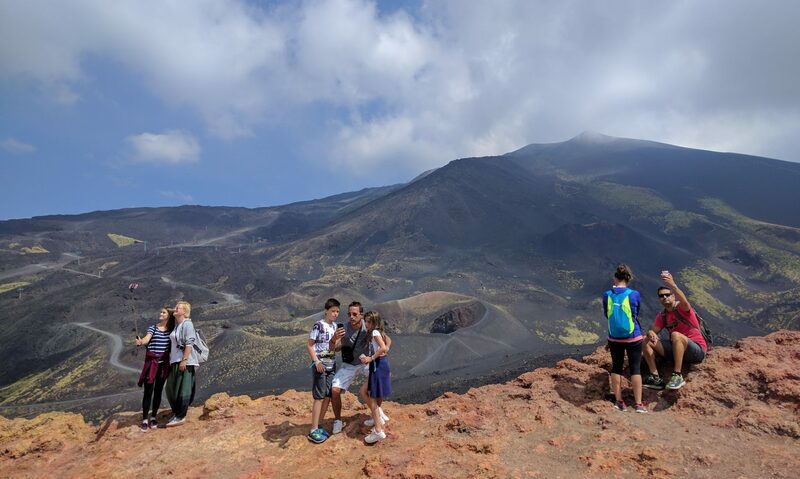 Etna & Taormina tour is perfect for the most adventurous and outdoorsy tourist… And much more! 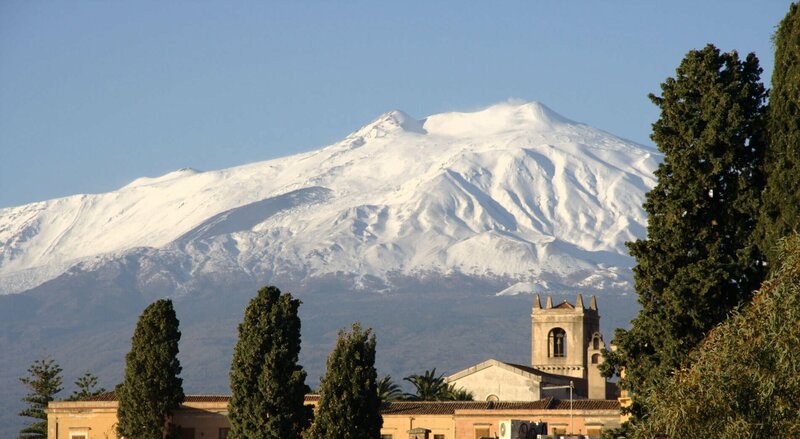 Come with us for this thrilling experience on the highest volcano in Europe and then reach the beautiful Taormina! Starting from the meeting point, we will spend about an hour and a half on board a comfortable bus explaining in detail the carrying out of the tour and telling you the story that made great our island. 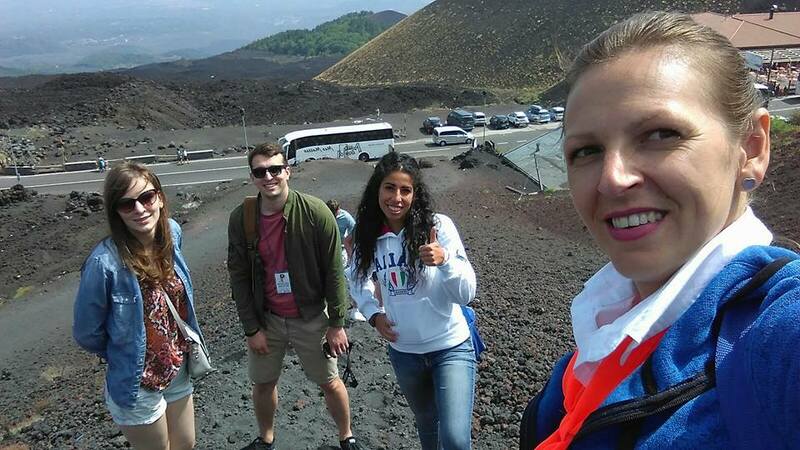 The typical Sicilian warmth of our guides will involve and entertain you with anecdotes and surprises making your journey pleasant to be ready for a fantastic Etna experience! Before reaching the destination, we will go through the ancient village of Zafferana Etnea which stands on the southern side of the volcano and where every year there’s an “October fest” to promote the local products like honey and wine. 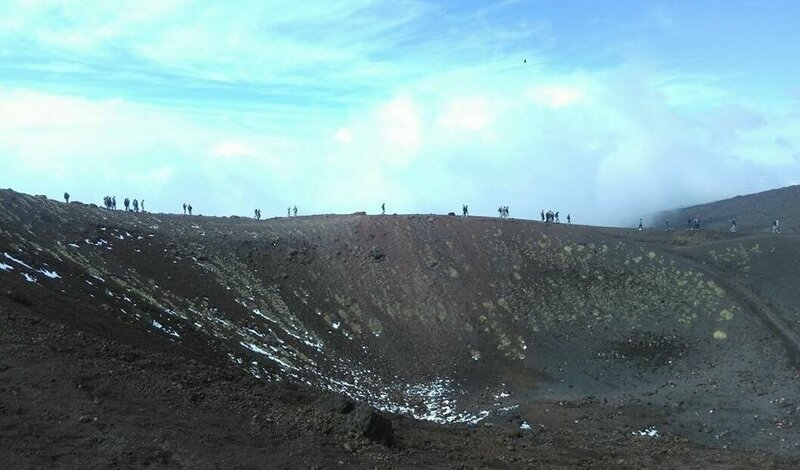 Finally, we arrive at Rifugio Sapienza, the area 1,900 meters height above sea level, and here we stop for about 1.30h that you can enjoy or by walking among the famous “Silvestri Craters” immersed in a typically lunar landscape, or take the cable car to reach almost the summit of the volcano. From this height, you will be delighted with an amazing view of the mountain that gets lost into the sea. So, it worths to take many pictures in this unique landscape, in which you will surely feel to be on top of the world! 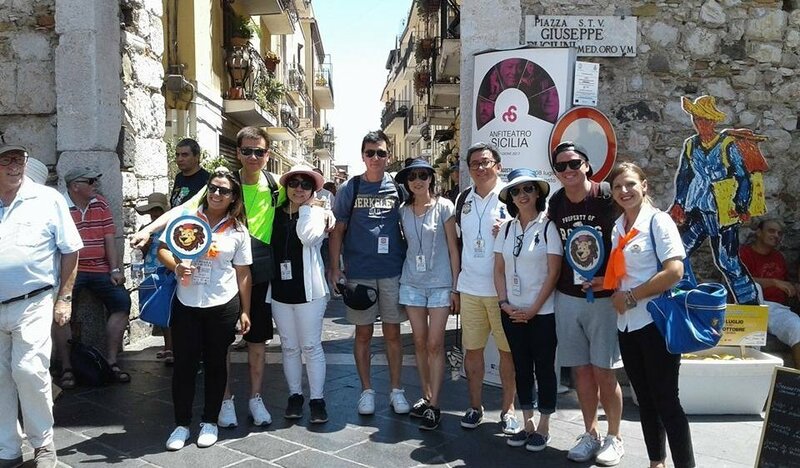 Fulfilled by the positive energy that the Etna tour left us, we will leave for our second destination with the curiosity about what to see in Taormina. Once we reach the so-called “pearl of the Mediterranean” that attracts tourists from all over the world, you can decide to have a stroll in the Corso Umberto or with our guided tour or freely, in every case you will find yourself exactly in the area in which there are the Greek theatre, oldest churches and monuments, high fashion shops, restaurants, pizzerias, and pastry shops in which you can taste our typical delicious. Be the next protagonist of this unmissable experience; you will be enchanted by the charm of places that for their importance are famous all over the world!